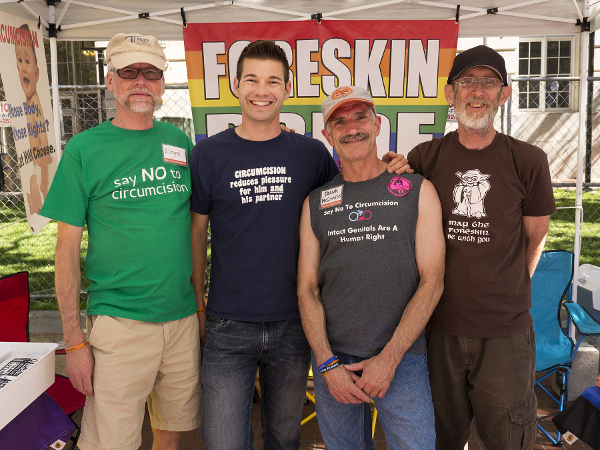 Members of Bay Area Intactivists had a busy weekend at the 2013 San Francisco LGBT Pride Celebration. 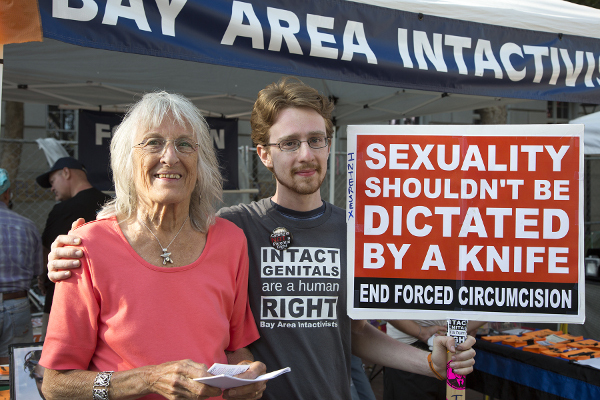 For the third year in a row, the group held a prominent spot in United Nations Plaza just steps from the SF Pride Parade in which the intactivists also participated. 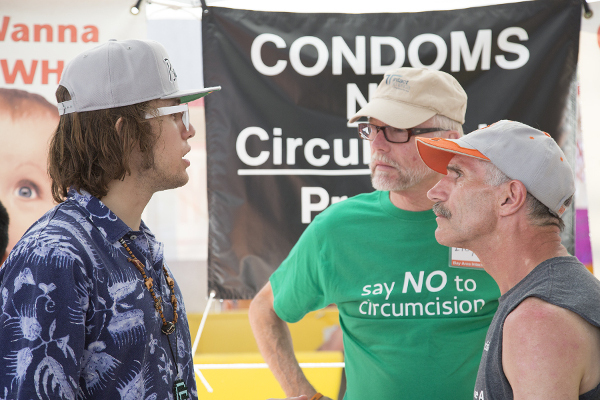 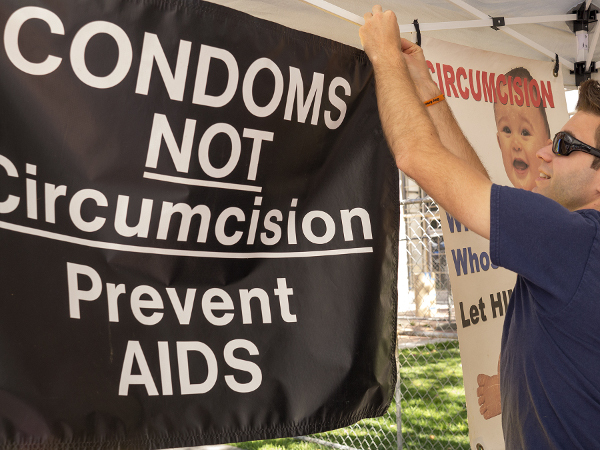 During the two days of festivities, countless festival-goers grabbed literature, wristbands, and stickers from the intactivists who were on-hand to advocate for the rights of children and educate about the damage caused by circumcision.